CHECK OUT MY EASY RECIPE FOR VEGETARIAN BURRITO BOWLS! THE PERFECT HEALTHY MEATLESS MONDAY DINNER CRAMMED FULL OF FLAVOUR AND VEGETABLES. I recently tried out the new Funky Fields Minced which is 100% plant-based and at first I was quite sceptical. 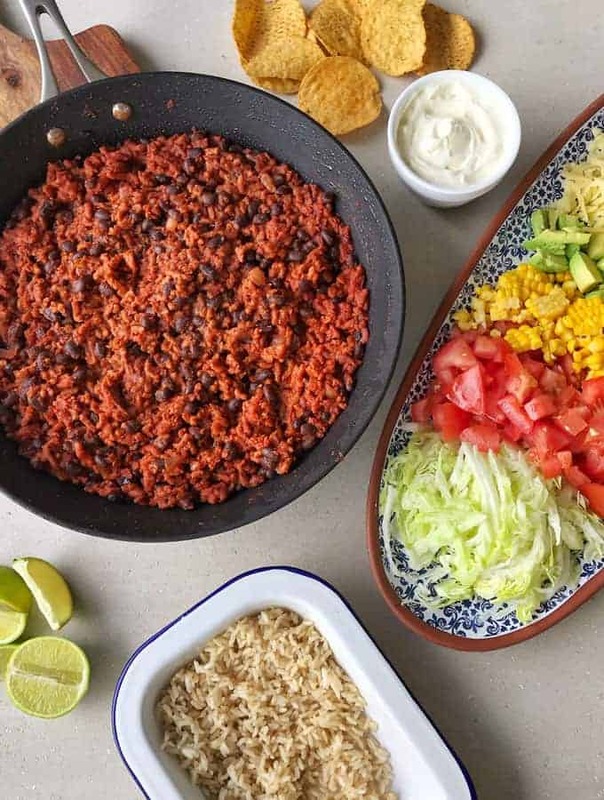 I decided to make a burrito bowl because I love chilli con carne and I thought this recipe is a really good way to put it to the test, comparing it to standard beef mince. 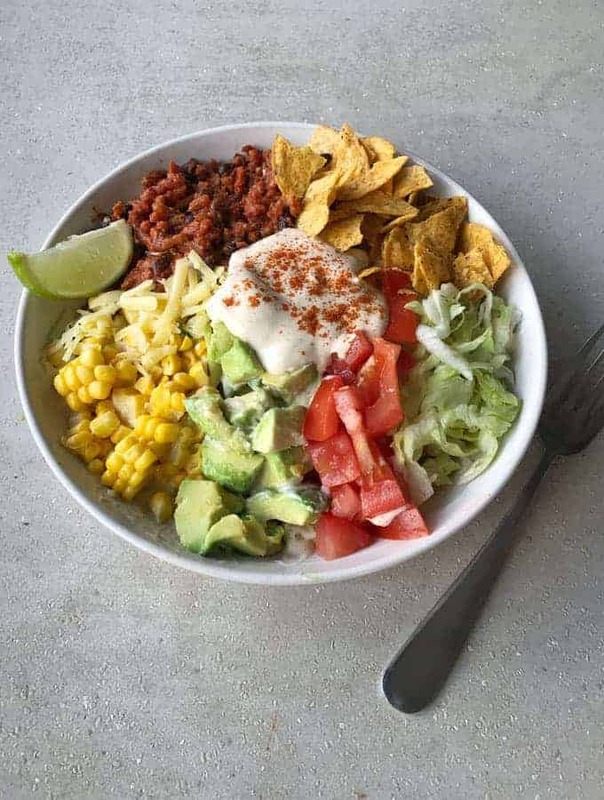 This burrito bowl is packed with vegetables and I also added some corn chips for a bit of crunch! You can make it with white or brown rice, I used brown rice for more flavour, texture and nutrients. This product is the perfect solution for those of you who want to try out Meatfree Monday! You can find Funky Fields Minced instore at Countdown exclusively for the next three months (in the fridge alongside traditional mince.) Funky Fields Minced is 100% vegan, has 18% protein and the colour comes from beetroot. 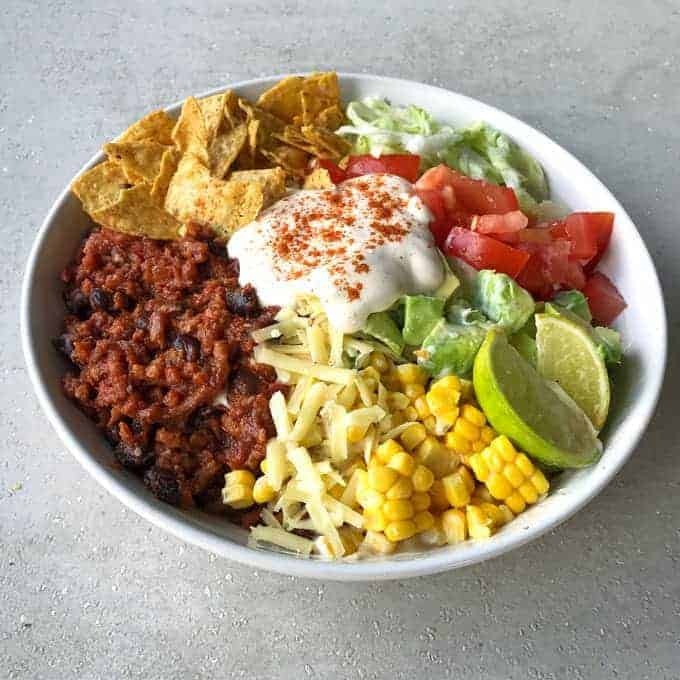 To cook up the chilli for the burrito bowl I just treated the Funky Fields Minced like I would any standard beef or pork mince. It fried up well with onions, garlic, spices, tomatoes and beans and was so easy to use. So what’s the verdict? 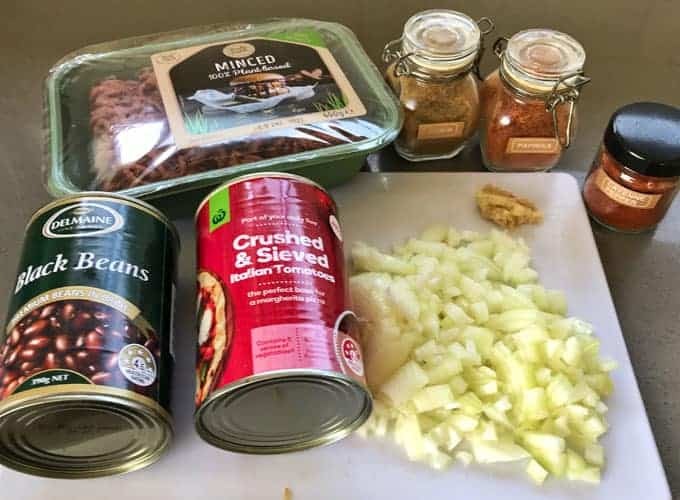 I was pleasantly surprised, it didn’t taste exactly like beef mince but I was impressed with the texture and flavour of the end result combined with the spices and beans. 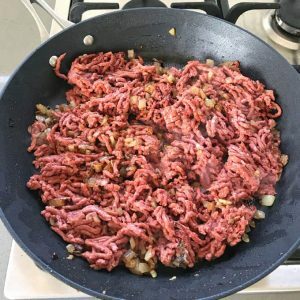 My husband tried it and said it tasted like a lighter, healthier version of beef mince and he would happily eat it for dinner, so it passed the tradie test. Funky Fields Minced is a great option for beef mince lovers who want to get more vegetables into their diet. 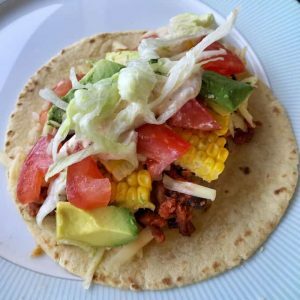 This delicious chilli con carne is also great on tacos! 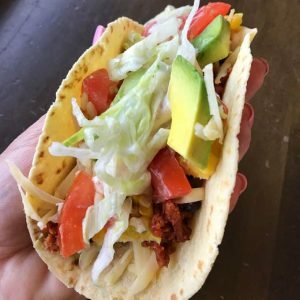 It’s the same ingredients but served on top of a toasted taco instead of in the bowl. In a large frypan sauté onion until cooked through, add garlic and Funky Fields Minced and use a spatula to break it up. 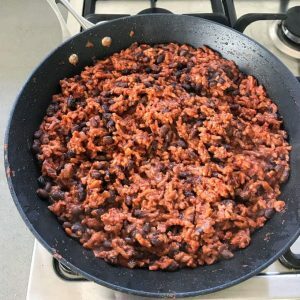 Fry until the mince has browned, pour in the tomatoes and add the spices and salt, stir to combine all of the sauce then add in the black beans. Simmer for a further five minutes until everything is cooked through. 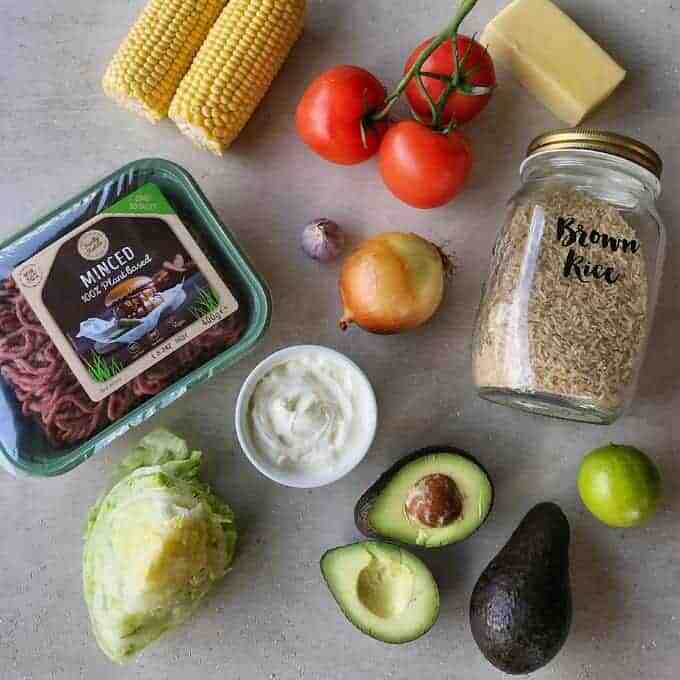 Serve the hot mince mixture on top of cooked rice with corn, tomatoes, avocado, cheese, lettuce and crushed corn chips. Mix the sour cream with the paprika and dollop on top of your burrito bowl, serve immediately with a wedges of lime. Disclosure: This recipe was developed while partnering with Countdown Supermarkets. The content and opinions are my own.